O PRIEST ever wants to be accused of “clericalism.” To be accused of clericalism is an insult to every priest, from the most progressive to the most traditional. 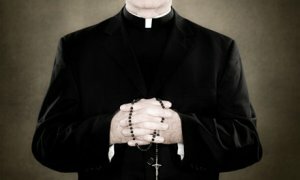 It seems, however, that it is more common for priests who are traditional to be considered “clerical.” Why? Most “traditional” priests have a special love for liturgy. (Shouldn’t this be true of every priest?) There is life outside the liturgy, to be sure, but should not the sacred liturgy be fundamental to every priest’s existence? There is a sentence in the introduction to the new collected works of Pope Emeritus Benedict XVI that captures this sentiment quite frankly: “The liturgy of the Church has been for me since my childhood the central reality of my life.” That is a profound claim. Very often, this love for liturgy will be used by a particular priest’s detractors as evidence of his clericalism. Many such accusations, though, boil down to nothing more than a healthy sense of priestly identity. Love of liturgy—and, specifically, employment of its traditional forms—is not clericalism. The liturgy, after all, is not about the priest. It is about Jesus Christ, the spotless, innocent Lamb. A “clericalist” is not one who loves liturgy, but one who rejects the wisdom of Fr. Meehan.